Ajay Devgn and Ileana D’Cruz are busy promoting their upcoming film Raid, which is ready to be released on March 16, 2018. The lead actors were snapped promoting the flick in Mumbai on March 7, 2018. The upcoming crime drama flick is written by Ritesh Shah and directed by Raj Kumar Gupta. The film also stars Saurabh Shukla, Saanand Verma and Gayathri Iyer. Ileana and Ajay appeared together at an event and were all smiles and poses for the cameras. 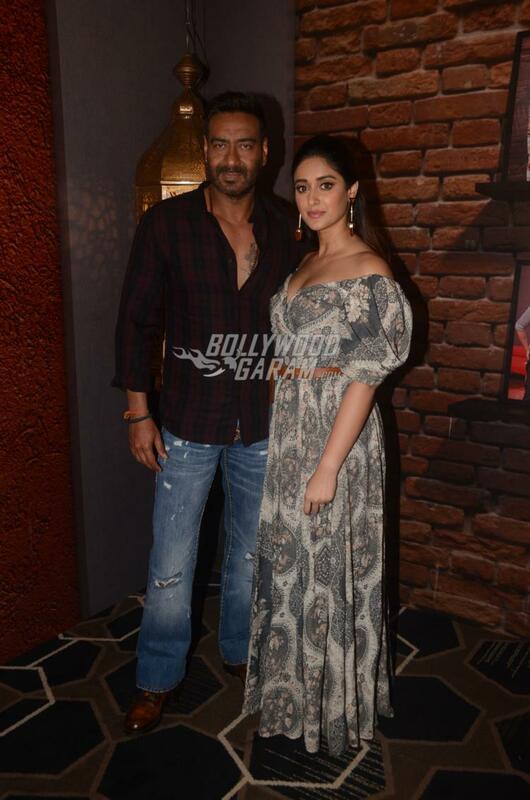 Ajay looked dapper in a casual shirt and a pair of denims while Ileana looked pretty in an off-shoulder maxi outfit. Raid is produced by Panorama Studios and T-Series and is due to be released in theatres on March 16, 2018.